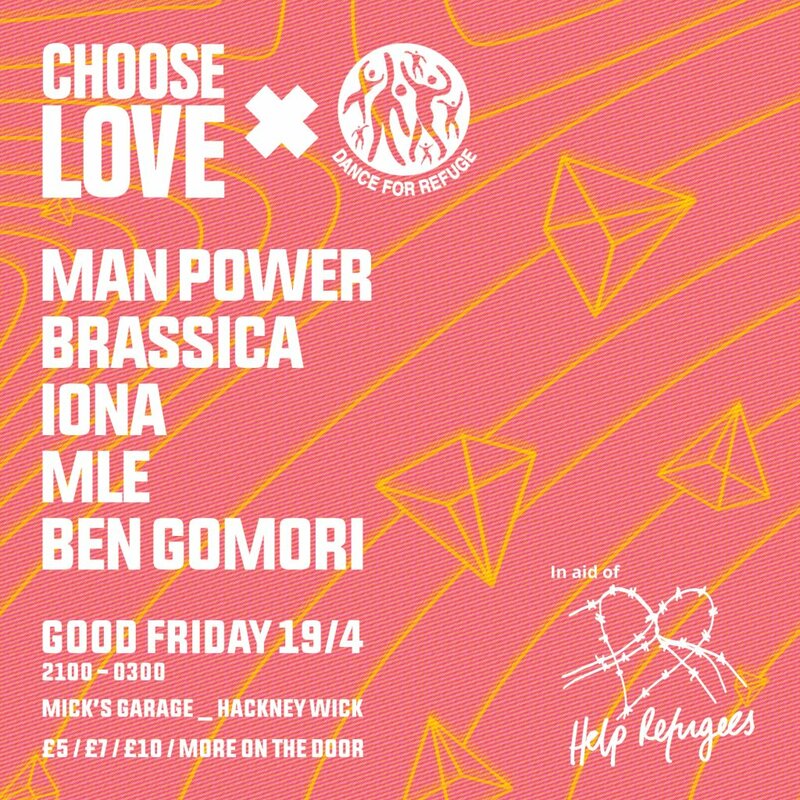 A party in aid of Help Refugees is taking place in London this Easter weekend, at Mick's Garage in Hackney. The event, happening this Friday 19th April, is a collaboration between Choose Love and Dance for Refuge, with all profits from the night going to Help Refugees. Man Power, Brassica and Field Maneuvres resident Iona are among the DJs locked in for the night. You can buy tickets for the event here, and check out the full artwork below.